Hiking the Y should be one of the main items on your bucket list when looking for things to do in Provo. As far as provo hikes are concerned, it is definitely the most well known hike there is. Although you can continue up past the y and hike to the top of Y Mountain, we’ve included below only the information needed to the trailhead and hike up to the Y. Duration: The time it takes to hike up to the Y will depend on your fitness level and how fast you’re wanting to hike. For people who are very intent on making it to the top and back as quickly as possible (we’re talking sprinting), then it could take as little as 30 minutes. For the majority of people, a round trip hike up to the Y and back will take anywhere between 1-3 hours. 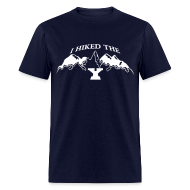 Description: Although not a very long hike, the trail to the BYU Y does go up a very steep part of the mountain. There are 12 switchbacks that do make the ascent easier, and to the experienced hiker, it isn’t very difficult. However, the great thing about this hike is that it attracts all types of people, and so some may find it rather difficult to climb. There are many areas where you can stop to take a break and catch your breath. The view from the Y is very much worth the short distance it takes to get there. Directions: From 900 E in Provo, turn east (toward the mountains) on 820 North and follow it as it veers left and becomes Oakmont Lane. Take a right on Oak Cliff Drive and veer right. Take a right on Terrace Drive and a left to head into the “Y” Trailhead parking lot. If you’re unfamiliar with Provo, I’ve included an interactive map below that you can use to find directions to Y mountain trailhead from wherever you’re arriving in Provo.